Ok y’all, if you’re searching for the best salmon ever recipe, you can rest now because this is it! 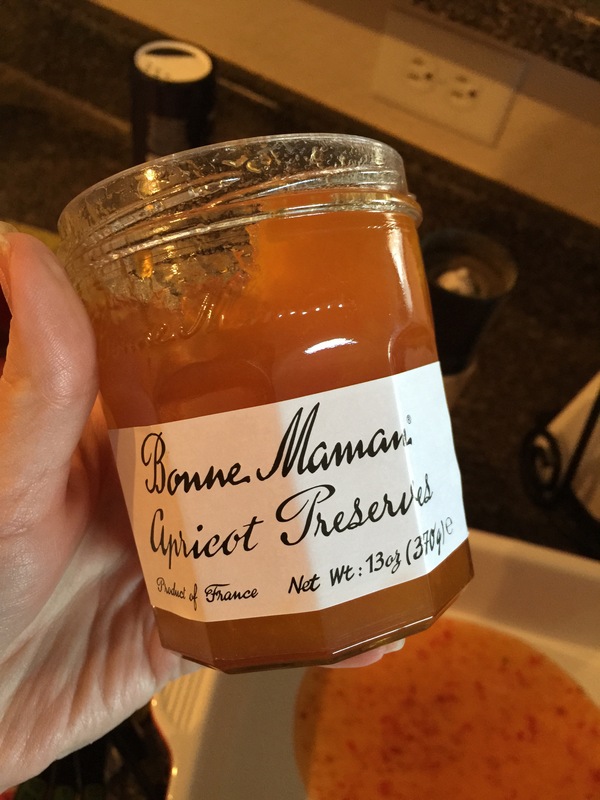 I had seen a recipe using sweet chili Asian sauce and orange marmalade on salmon and thought “Well there’s a cool idea!” and came up with this delicious concoction. 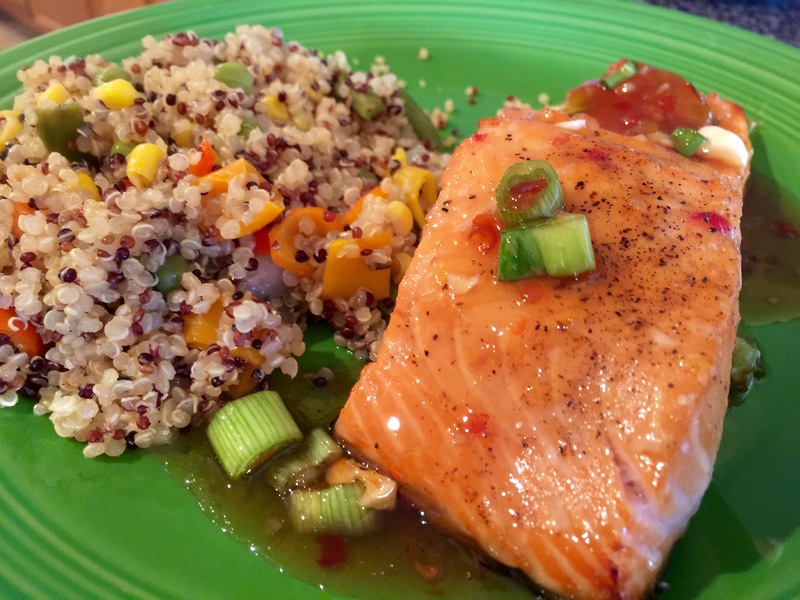 It was so yummy my husband had me go back up to the store today and buy four more pounds of salmon to keep in our freezer for me to make this recipe again soon! 1. In a small mixing bowl pour in your sweet chili sauce, apricot preserves, green onions, garlic, and soy sauce and whisk together. 2. 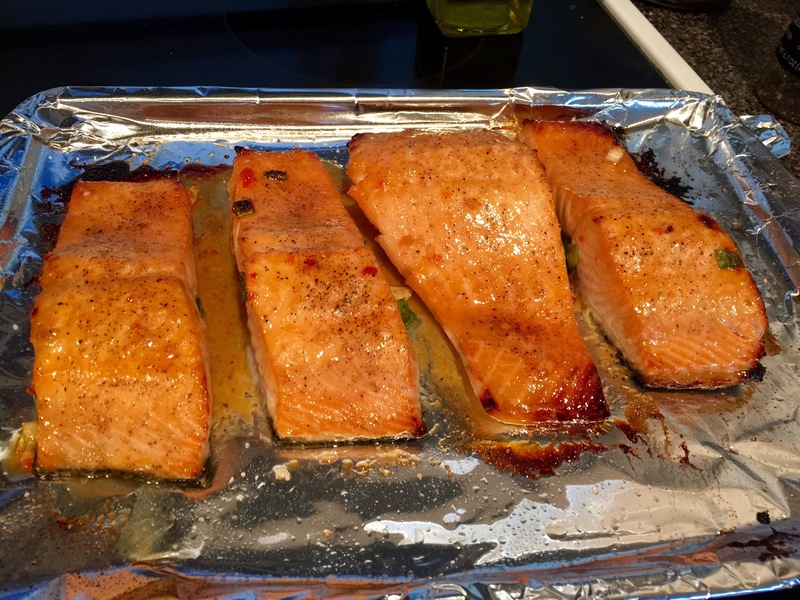 Cover a sheet pan with foil and spray with non-stick cooking spray and lay salmon skin side down on the sheet. Season the salmon with salt and pepper, then pour sauce over the top of the salmon and allow it to marinate that way for about 30 minutes. 3. 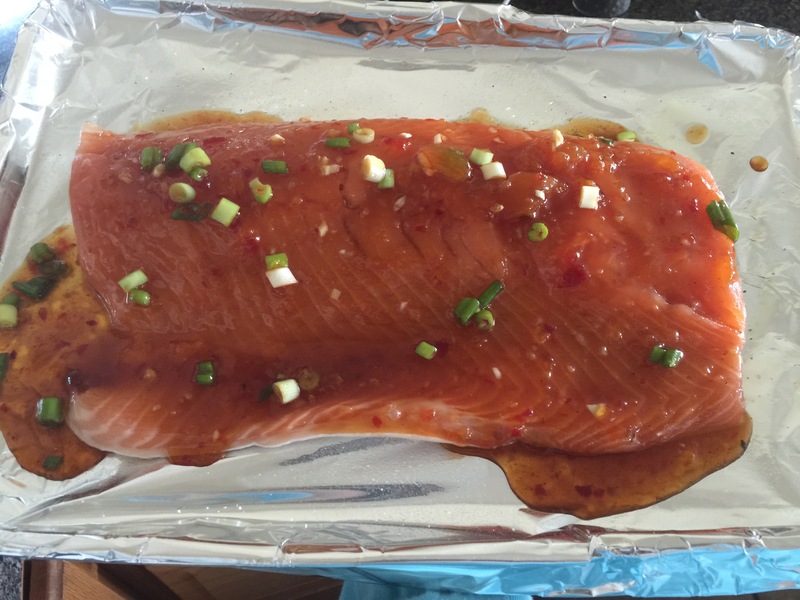 Once it’s done marinating place the salmon near the top of your oven under the broiler for approximately 15 minutes. You’ll want the sauce to caramelize on top of the fish and don’t worry if you see the sauce burning that slid off the fish and is stuck to the foil. *This is a picture from my original post, but you’ll get the idea of what the fish will look like when it’s done.